Rep. Keith Ellison, the deputy chairman of the Democratic National Committee and first Muslim elected to Congress, won his party’s nomination Tuesday for Minnesota attorney general in a race clouded in the final days by an ex-girlfriend’s allegation of domestic abuse. 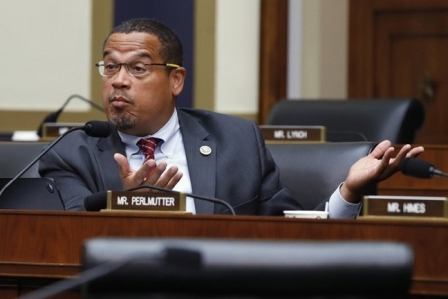 Ellison easily emerged out of a crowded field that included state Rep. Debra Hilstrom, former Department of Commerce Com­missioner Mike Rothman, former Ramsey County Attorney Tom Foley and attorney Matt Pelikan. He said he wanted to push back against President Donald Trump’s policies that he argued were hurting people, adding that he admired Democratic attorneys general in other states who had done so. He said his priorities included protecting former President Barack Obama’s health care law and restoring so-called “net neutrality” provisions scrapped by the Federal Communications Commis­sion under Trump.